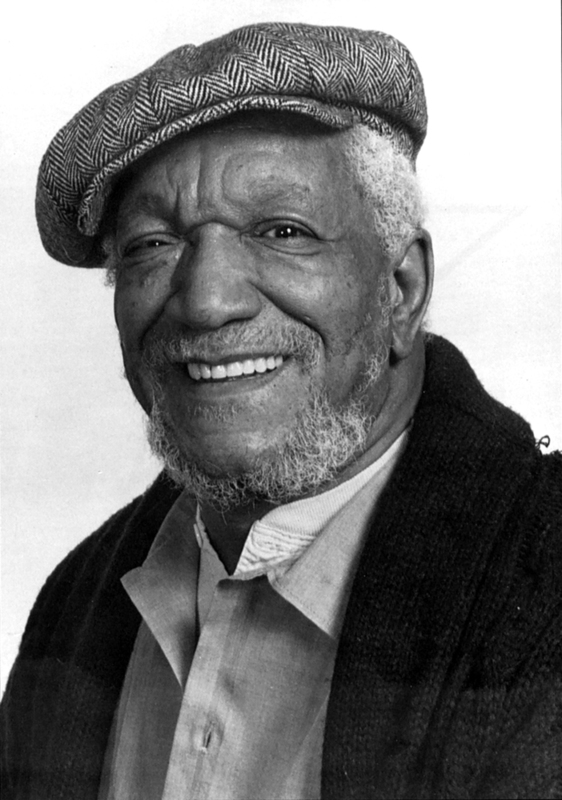 Redd Foxx starred in Sanford and Son, one of television’s most popular comedy series in the 1970s. Born John Elroy Sanford in St. Louis, he left home at age 16 to join a New York street band. Called Red for his complexion, he adopted a baseball star’s name to become Redd Foxx. Honing his comic skills in the 1940s, he became one of the nation’s funniest nightclub comics, although his racy language limited his exposure. His 50 off-color “party” records reached a larger audience, selling more than 20,000,000 copies. A dramatic role in the 1970 film Cotton Comes to Harlem paved the way to television stardom for Redd Foxx.